The add-in described in this article no longer works following a security update that Microsoft pushed out to Office365 users in May 2018 which completely disables all mechanisms to insert EPS images, including the former registry workaround. You can read more in their article. Sorry! In April 2017 Microsoft rolled out an Office update that disabled the ability to import EPS graphics files due to a security risk. You can read more about it on Microsoft’s Support site. But if like us you create your own EPS files or get the from a reputable organisations, you can be pretty sure they won’t be masquerading as a security threat. 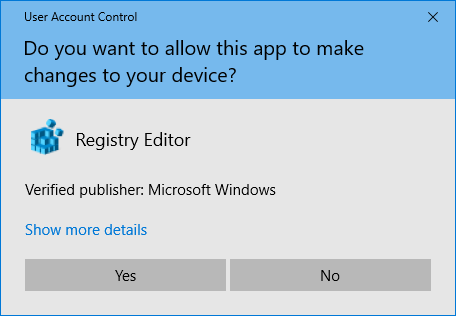 If you read the Microsoft article above, you’ll see that there are three places in the Windows Registry that are affected depending on your environment. The add-in only supports the registry locations for single computers running Windows 32 bit or 64 bit and not the Group Policy location. What does the add-in do? If you don’t have admin rights, you may be prompted to enter administrator credentials. It’s a bit clunky as we couldn’t find a way for the addin to write directly to the HKLM hive of the registry but it works and saves you having to work out what changes to make. Every time you make a change e.g. enabling EPS filter, you have to go through the verbose messages above – sorry abut that!